That it’s important to reward staff with corporate gifts for doing things well won’t be news to anyone. Recognising and rewarding achievements or improvements is considered HR 101 - a total no-brainer. The link between recognition and motivation is made at school. There, a gold star, a dojo point, or one of those coveted scratch and sniff stickers on a report or assignment made all that effort feel worthwhile. It was enough of a buzz to get you through at least another week of homework and good behaviour. The days of gold stars may have long passed, but the critical role played by public acknowledgment and rewards for hard work continues right through our working lives. Yes, everyone knows it needs to be done. But whether it’s actually being done effectively is another question altogether. Relationships – employees who feel adequately rewarded with corporate gifts and incentives develop more positive relationships with colleagues, managers, and supervisors. Moreover, we now have half a century of research showing that employees are motivated by more than money alone and that non-financial recognition and reward plays significantly into that axis of retention, reputation and relationships. This is not to say that non-financial rewards shouldn’t have financial value – not at all. Nor is the suggestion that financial rewards – e.g. pay rises, cash bonuses – are not still important. Rather, it’s to be aware that cash can get quickly subsumed into employees’ salaries and lost track of, whereas a non-cash reward remains distinct such as various corporate gifts or Christmas employee gifts and will always carry the association of the hard work and praise which brought it about. Gift cards and vouchers are a great corporate gift option and have long been a popular choice for a staff reward. Part of the appeal is that they deliver a double whammy of good feeling – first when the voucher or gift card itself is received, and then again when it is spent. 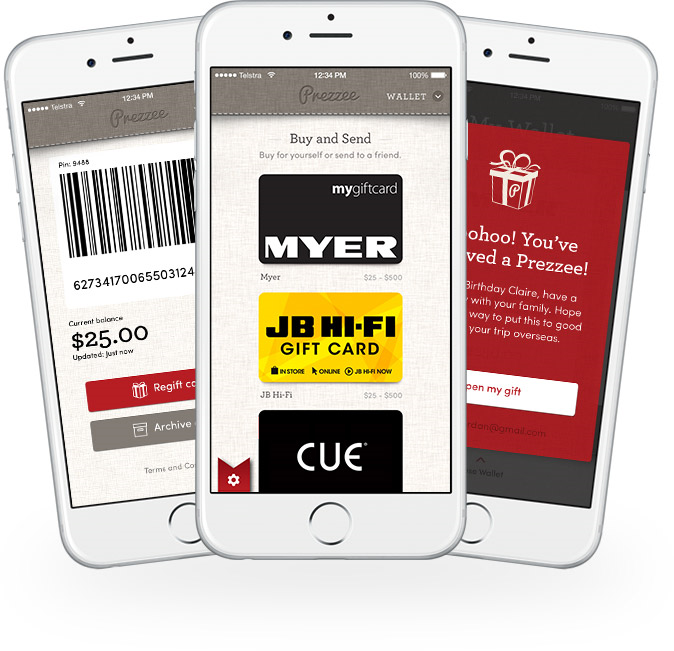 Prezzee delivers a seamless eGift Card experience for both the business and the recipient. Prezzee can accommodate and process large quantities of data safely and discreetly to ensure that each team member receives the correct amount at the right time. There is no need to track piles of plastic cards, mess around with endless photocopies or tick off reams of names on a spreadsheet. Prezzee removes the need to do any of that. A Prezzee eGift Card can be customised with your corporate logo and a personalised message included to ensure that the recipient understands why they are being rewarded and that their and/or their team’s effort has been individually recognised for its distinct value and efforts. There’s nothing generic about a Prezzee eGift Card – tailoring the Gift Card to your specific needs makes it matter more and mean more. Perfect all year round or at times like Christmas. Need one thousand eGift Cards delivered to a sales team tomorrow? Consider it done. Part of a successful reward scheme is getting the timing right. Delays in recognising and rewarding effort undermine the effectiveness of the scheme and, at worst, can create resentment and confusion. Give the gift and maintain the momentum and buzz of well-deserved praise by delivering it right away. The sheer choice on offer with a Prezzee eGift Card is one of its major attractions. With over sixty retailers available to the recipient, you take the guesswork out of giving a gift voucher and up the fun factor significantly. All too often, gift vouchers name retailers or services that the giver would like but that could be completely unsuitable for the recipient. Consider this example: a gift voucher to the HR Manager’s favourite harbourside restaurant or city day spa is all very well, but think of what it might involve for the employee who received it - the pressure of finding a sitter for the kids so they can actually go within the allotted time frame, the likelihood of having to pay more than the amount of the gift voucher, the inconvenience and expense associated with transport to and from the restaurant. All the good intentions in the world can’t make up for the fact that $200 on babysitting and an Uber outweighs $100 for a couple of fancy entrees or a manicure. With a huge variety of retailers on offer - including Woolworths, David Jones, Myer, Coles, Uber, Hard to Find, endota spa, Priceline Pharmacy – the recipient gets the excitement and convenience of choosing something they really want. And the gift of generous choice is invaluable. A Prezzee eGift Card is the ultimate gold star and a great corporate gift idea that can be personalised as redeemed on exactly what the user wants to use it on. As a platform for staff recognition and rewards, it is a win-win option that creates good feeling across the employer-employee divide, and an immeasurable return on investment with a minimum of fuss and time. No brainer? You bet.